Today’s retail customers are seeking a personalized experience, both in-store and online. They’re looking for the convenience of buying in store, combined with online access to pricing and product reviews. You could say they want the best of both worlds. In this modern environment, retailers can remain competitive by making stores easy to navigate, rewarding loyal customers and offering them personalized discounts and product recommendations. Here are some of the technologies that can help you increase customer loyalty in the retail space. Using wireless technology like Bluetooth or Wi-Fi, retailers can locate mobile devices and track customers throughout the store. This technology can also help keep track of products on the shelf or in the warehouse – combining indoor positioning with electronic shelf labels helps staff find products that might have been moved or rearranged. A customer-facing “wayfinder” app, which uses indoor positioning, can include a customer service button that would alert a sales associate that a customer needs assistance, while directing them to that customer’s location in the store. Finally, for a shopping mall or big box store, a positioning system could help customers find their car in the parking lot, making for a much more pleasant shopping experience. Proximity marketing helps you reach customers at the right time with the right message, offering them personalized deals on their phones when they head toward a certain product or are shopping in a particular aisle of the store. Beacons are deployed throughout the store to transmit signals that detect any Bluetooth-enabled smartphone within range, allowing you to target customers with relevant messages. Not all retail apps offer push notifications – some customers might find them intrusive and annoying. But when done right, push notifications can be a tool to increase customer engagement, loyalty and retention. That’s why it’s important to deliver personalized, relevant messages to customers based on products they have already searched for, through your app or online. It’s also important to send push notifications at times when customers are more likely to engage – no one likes to be woken up by their phone at 3 am, even if it’s by an offer for a 50 percent discount! More and more customer loyalty programs are moving from traditional store cards to mobile devices. Even Canadian Tire, famous for its multicoloured Canadian Tire money, is now signing up users for its mobile rewards app. 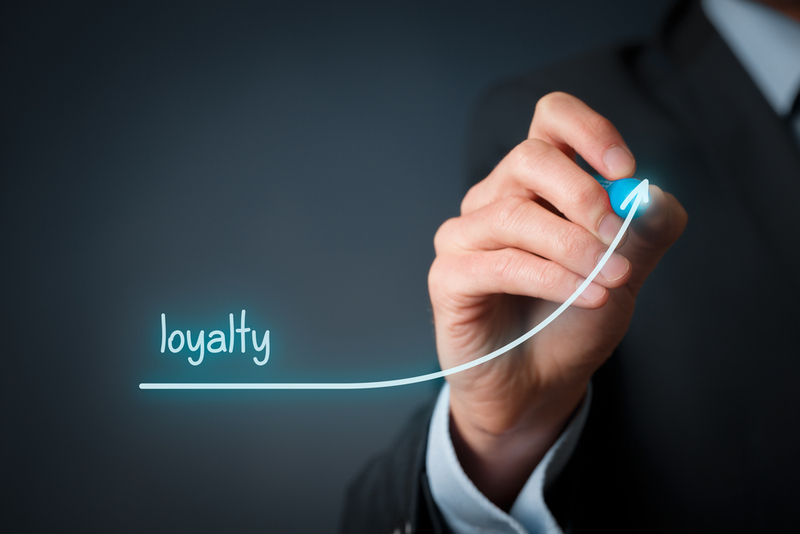 Being available on mobile devices can help drive loyalty program growth. A 2017 shopper loyalty survey found that over 70 percent of shoppers would be more likely to participate in a loyalty program if they can access it from their mobile phone. Making it easier to collect points and redeem rewards, offering product recommendations and promotions, and sending timely messages and push notifications are all ways a mobile app can help increase customer loyalty. But it’s also important to ensure that all customer-facing technology, from beacons to routers to your mobile app, offer security features to product your customers’ data. You’ve likely heard about some of the major data breaches affecting retailers, with millions of customers having their data compromised. One common entry point for attackers are unsecured endpoints. Keep in mind that any piece of hardware that can connect to your network, whether it’s a printer, tablet or POS system, could potentially be a gateway for hackers – and thus, requires appropriate security measures to be in place. CDW can help you find the right solution that will allow you to map and secure all the endpoints on your network. A cybersecurity solution that can detect and analyze threats as soon as they appear, allowing you to quickly respond to any potential threat, anywhere on the network. By deploying a network security appliance, such as Cisco Meraki, administrators can gain complete control over all the users, content and applications on their network. Meraki appliances offer a range of security features, including “next-generation” firewall, intrusion detection, content filtering, VPN, Web caching, SD-WAN, Geo-based IP firewall and advanced malware protection. These devices also allow you to manage security, networking and application control via the cloud.